The interior design of the stores combines functionality with sophistication and provides an ambience of distinctiveness. 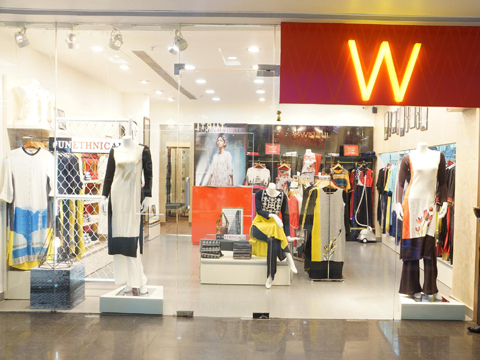 Women’s ethnic fashion wear brand, W fo Woman, is expanding its retail footprint across geographies. The brand has recently launched stores in Shimla, Shillong, Srinagar and Gangtok. After having made a significant impact in metros, the fashion house is taking the W spirit to Tier II, III cities of the country. While it is the first store in Shimla, Srinagar and Shillong, it is the brand’s second store in Gangtok. The interior design of the stores combines functionality with sophistication and provides an ambience of distinctiveness. The store displays spring summer collection with a comprehensive mix of styles to match every occasion and personality. The store offers the collection of kurtis, fashion bottoms like palazzos, culottes, cropped pants, leggings and dupattas, accessories etc.